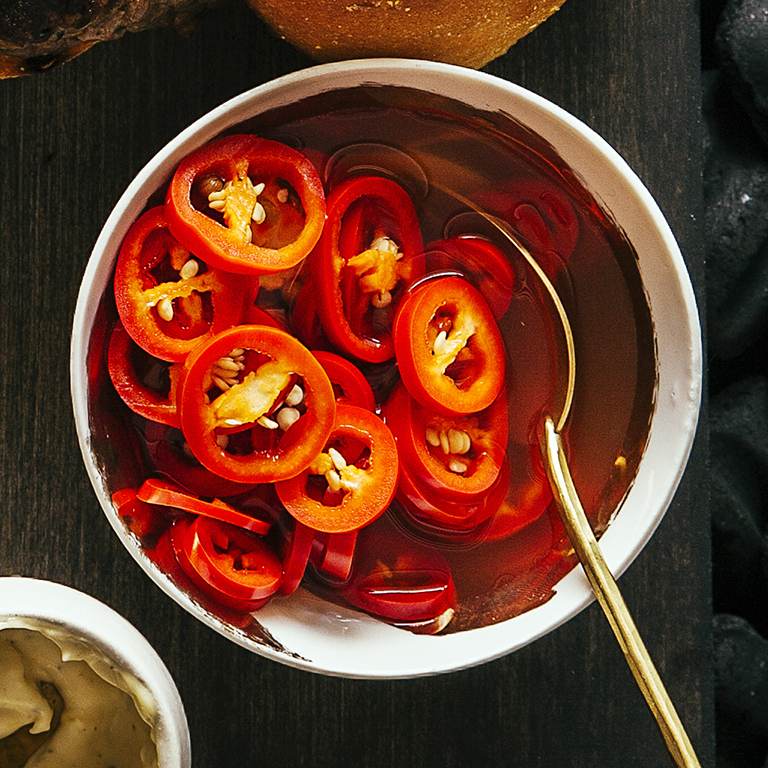 Spicy and sweet, these pickles add a hit of color and flavor to burgers--and are great with any rich food, like sausages or fried chicken. If you'd like a milder pickle, slit the chiles lengthwise and remove their seeds before slicing. Chef Noah von Blöm of Arc restaurant in Costa Mesa, California, gave us the recipe. Bring vinegar, coriander seeds, sugar, salt, and peppercorns to a boil in a medium saucepan. Stir to dissolve sugar, remove from heat, and add chiles. Pour into a pint canning jar, cover, and let cool. Chill at least 12 hours and up to 5 days.